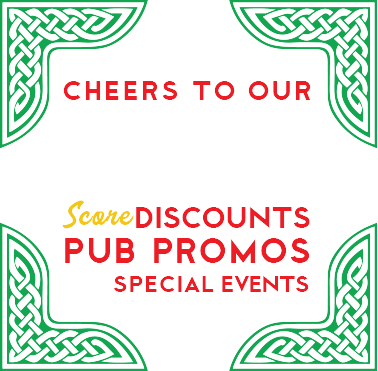 Welcome to the Red Stag Pub! We pride ourselves in excellent customer service, the highest quality cooking and a lot of good humor and charm. Growing up in Lambeg, a small village 8 miles from Belfast, I was reared partly by my Granny McCarthy while my Mum went to work. 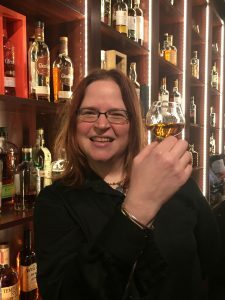 I grew up surrounded by the foods and drinks that were typical of Ireland and, it turns out, the ones I’ve wanted to share with the community. My Mum and Dad went to work early in life with no opportunity for advanced education because of their family circumstances and the outbreak of World War II. Even though my parents didn’t have an abundance of money, there was always food on the table including great breads, scones and baked goods. My Dad (Sammy) who loved to sing Irish Ballads — especially after a few bottles of Stout — allowed me a wee spot of Guinness on a Sunday in a tiny glass in front of our fireplace and I was dosed with Whisky Punch for a cold or a toothache. Sports have always been a huge part of my life, and because of my love for them, I managed to get a Grammar School Education by receiving a scholarship (which also enabled me to participate in all the sports I enjoyed). My passion developed into a love of hockey (Field Hockey in USA), earning me a selection to play for Ireland Schools and Ulster at U-21 level. A University Degree in Civil Engineering followed — at Queen’s University Belfast — which resulted in an opportunity to play competitive Hockey and travel all over Europe and the UK. My hockey team came to America in 1978 and I met a hockey goalkeeper, Linda Shay who was playing in the ladies’ part of The Maple Leaf Tournament in Toronto, and the rest is history. I married her! Working as an engineer in Pennsylvania, playing hockey in a NY-based league, and selling hockey equipment from a company in England soon convinced me I needed my own business. 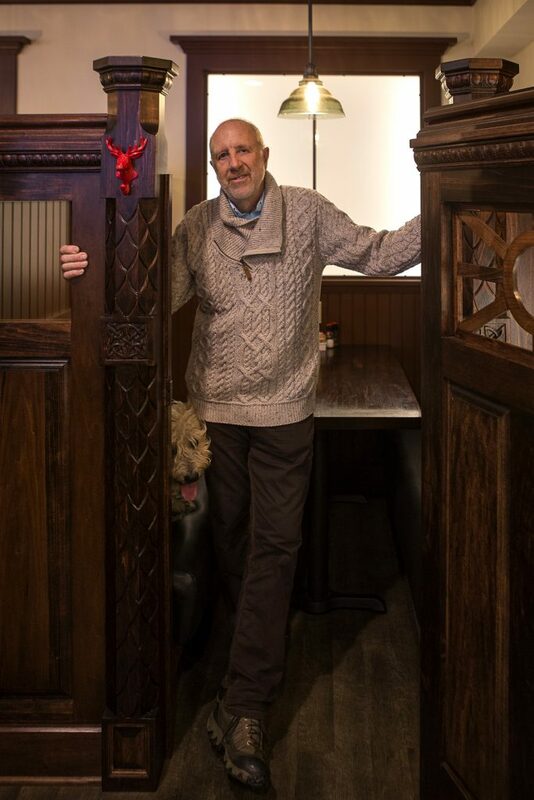 When my Dad became terminally ill in Ireland, Donegal Square (the “sister” business to the Red Stag Pub) was born. The name came from the Georgian Square in Belfast where I worked for a short time after University. The new found freedom allowed me creative time to work with some Scottish and Irish descendants, locally dreaming up The Celtic Classic Festival. Celtic Classic is a totally cultural event designed to educate the local community about their Celtic roots through music, dance, food, and athletic events. For me, this became a way to positively influence the “troubles” back in Northern Ireland by illustrating how the two sides could celebrate each other’s Cultures. Leaving engineering behind, and with my wife embarking on a law degree, festival food vending, taking tours to Ireland and Scotland and Celtic Band Management were added to my repertoire — among other adventures along the way. The idea of sharing the foods I grew up with morphed into Granny McCarthy’s Tea Room and Bakery in 1997. 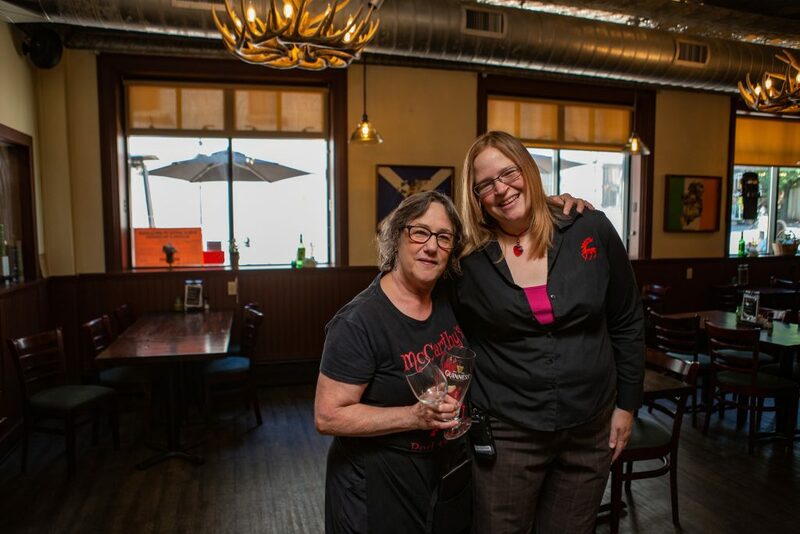 The Tea Room eventually graduated into McCarthy’s Red Stag Pub and Whiskey Bar in 2013. 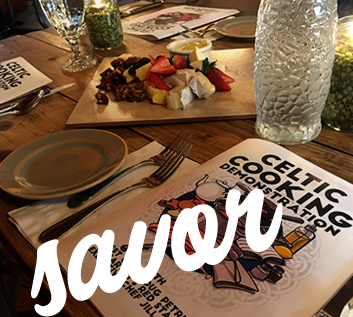 The journey continues as we build a Celtic Destination, combining my culture and heritage, through shopping, food and drink, music and travel to Ireland and The Celtic Lands. It’s a long way from the little row house in Lambeg where I grew up, but my roots are the foundation of my “Why,” and provide me with a life fueled by passion for my sport, friends and family, business and heritage — which is the ultimate reward. Age: 43 (but who really cares, right? )… Fell in love with cooking when I was a small child when I used to help my mom make her specialties. Things like chili, sugar cookies, dandelion salads with hot bacon dressing, and home made pies. She would trick us into eating our vegetables by smothering them with browned butter (I blame my ever expanding gut on this — thanks Mom!). I have found that this principal holds true — give people something that tastes great and they will keep coming back! Add great service, a beautiful presentation and some cold alcoholic beverages, and who can say no? You can apply this principal in all things that you cook. Start with what you like and go from there. It’s how the best chefs become inspired. They had a meal or an experience and fell in love. My instructors showed me how to hone that skill. My colleagues and peers inspired me to push my limits and Neville gave me the platform to soar. But it was my mother who first introduced a chubby little girl with blonde curls to the passion of cooking. I thank her for that everyday. My favorite food group is Mexican (don’t judge, I know this is an Irish pub), but see above as to why it works! Justin Hogge is a Sous Chef. 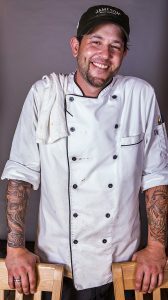 He has been working in the industry as a Sous Chef since 1995, starting as a line cook and advancing to Sous Chef in 2003. He attended Military Middle School and graduated at the top of his class from Emmaus High School. Completing the VICA Leadership Program, Justin received multiple awards and achievements, including the PA Governors Award and The People’s Choice Souper Competition. 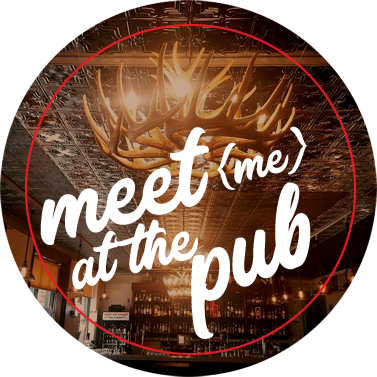 Justin is looking forward to furthering his passion for cooking at McCarthy’s Red Stag Pub. He’s finally found his second family and is looking forward to the future growth. His primary passion resides with his beautiful wife and daughter in Nazareth, PA.
Hey there, I’m Paige! I was born and raised in the Lehigh Valley and always had a love of food (mostly eating it). It was not until I attended Lehigh Career & Technical Institute halfway through high school that I discovered my passion for cooking and desire to learn as much as possible about the culinary world. 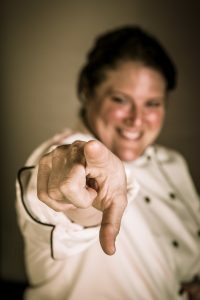 I’m a graduate of the culinary arts program at Northampton Community College and am passionate about my work. After graduation I spent some time working in many aspects of the food service world from prep & banquet cook, to line cook making breakfast, lunch, and dinner and finally in production baking. While I pride myself in kitchen versatility, my true love is and always will be pastry. To say I have a sweet tooth is an understatement! Since joining the team at McCarthy’s I now have the freedom to play with different flavors, textures, & ideas to create delicious treats for both the dessert menu and our retail bakery. Next time your in town stop by and try one of our fresh baked traditional or unique scones or one of our delicious fresh baked goodies that pair exceptionally well with a good pot of tea. I cannot imagine myself doing anything other than cooking for the rest of my life, and I don’t plan to. I am constantly learning by trying new recipes or from my own mistakes which has helped to discover some of our best new treats! It no longer feels like work when you enjoy what you do and have the honor of bringing joy to others through food. Hi. I’m Janet. I like long walks on the beach, sunsets, movies and puppy dogs. I am hedonistic, Dionysian, but with a refined, uppity exterior and a warm fuzzy mom center. Because, yes Donkey, people ARE like onions and everybody loves parfait. My background in hospitality spans 27 years. I have worked in high end customer service, banking, and, even, account management. 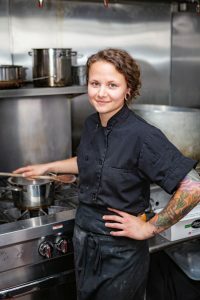 My love — my passion — is the buzz of the restaurant world. My approach to McCarthy’s is to honor the culture. To create that warm homey feeling for all generations. To help form memorable experiences. 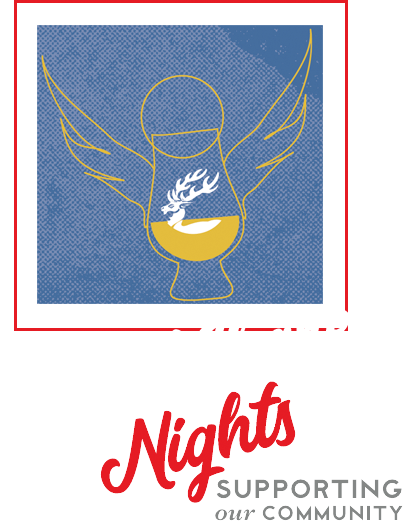 Perhaps, tantalize your tastebuds while teaching you a thing or two about scotch. So WELCOME to our home. Let us show you what we do best. Be it pot of tea or a proper pint, come sit and share us a tale. Thank you for coming over. It is, indeed, my pleasure to meet you. 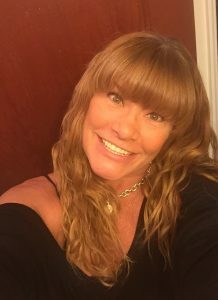 Hello, I’m Sherry — originally from Southern Georgia. I was adopted at birth by an amazing couple that raised me as their own. I’ve lived up and down the East Coast. Spent many of my years in Miami Florida, the melting pot of culture, cuisine, sun, and fun. Miami is where I fell in love with the restaurant industry — the hustle and bustle — where no two days are ever the same. Some of my hobbies are surfing, (in my younger days chasing hurricanes), rollerblading, cooking, and sewing. I came to The Lehigh Valley in 2002. My knowledge of hand crafted cocktails, liquor cost, and laws are my strong suites. I’m the newest member of The Management Team at McCarthy’s. It’s my new adopted home and I couldn’t be happier. In February of 19__ I was born in Reading, PA — the son of a preacher man (Moravian) and a registered nurse. Shortly after I was born, our family moved to Bethel, Alaska to serve in a mission field. After 5 years there, we moved to Hope, Indiana and then eventually to Indianapolis where I met my future bride, Carolyn. I eventually proved that I was not ‘college material’ at Moravian College and lost my 2S student deferment. This made me eligible to play in the 1960’s version of the “Hunger Games”. I represented team USMC for 4 years and then went back to Indianapolis to join my wife in her pursuit of her degree in veterinary medicine. We both graduated from Purdue University with different degrees, hers as a doctor, mine in supervision (I married up). After 30+ years of working together in Carolyn’s Veterinary Clinic, we decided to slow down a little. Carolyn now does only the work she enjoys, volunteering at a Wellness Center with no emergency work, and she even finds time to relax and enjoy her various quilting projects. She also enjoys spending time with our daughter, Makaila, who is working on completion of her high school pursuits. 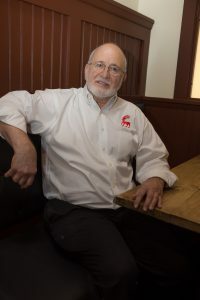 I, on the other have had been bartending in Indianapolis for the last 10+ years at various venues from sporting events (Colts, Indians, NASCAR, Indianapolis 500), concerts, and special events with several caterers in the area. Then I get the ‘offer you can’t refuse’ from my sister Linda. You know, that little girl that Neville had the good sense to marry 38+ years ago. “So come out to Bethlehem where we are starting to change the tea room into a pub. We need your help. It will be fun.” she said. Well, she was right. It is fun. I enjoy working with the entire management team at the Red Stag Pub. Everyone does their part to make the pub a great place to work and spend time, whether ‘on the clock’ or not. Everyone does their part to create positive energy and make it happen. Jill and Neville provide leadership and coaching to bring out the best in everyone. I enjoy working to make the bar perform as efficiently as possible, while exploring new opportunities for the pub at off-site venues. In the future, we plan to continue and expand our monthly whisky tastings — as well as offer special dinners and events. I’m thankful for the opportunity to be an integral part of this great team, especially while I continue to work and reside in Indianapolis. I couldn’t do it without them. I also bear the title “road warrior”.